Mining operations use large amounts of fresh water to process recovered ore; the resulting mine effluent is typically a stew of hazardous acid-generating sulphides, toxic heavy metals, waste rock impoundments and water—and it is often deposited nearby in large free-draining piles where it can pollute land and water supplies for decades to come. When this waste water drains into local streams and aquifers, it can kill living organisms and render formerly pristine local waters unsafe to swim in or drink. 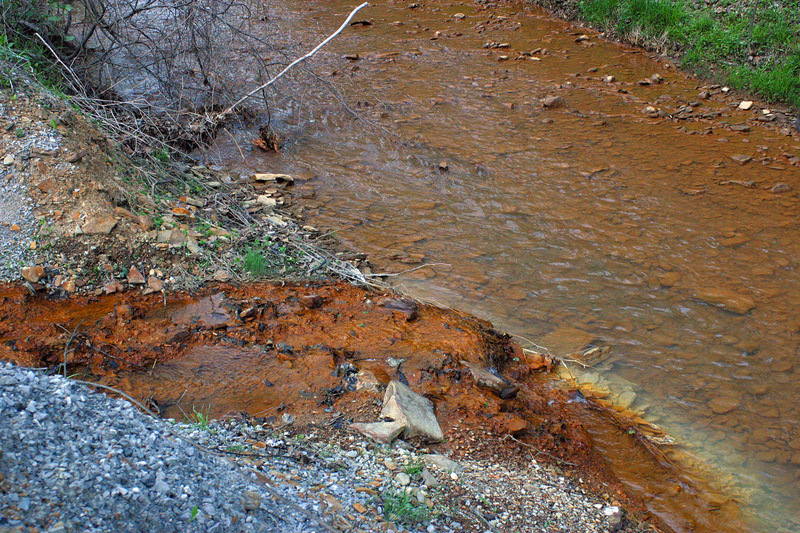 Increased soil erosion around mines also leads to excessive sedimentation of nearby waterways. This reduces the productivity of fisheries while limiting the availability of irrigation sources. Here in the U.S., increasing recognition of the water (and other types of) pollution problems caused by various forms of mining led the Environmental Protection Agency (EPA) to issue much more stringent guidelines in April 2010 regarding how and where mines on American soil must dispose of waste. In January 2011 the EPA got the opportunity to walk its talk when it vetoed a permit that would have allowed the largest “mountaintop removal” mining operation in the history of West Virginia coal mining to go forward. Mountaintop removal is an aggressive form of coal mining that strips a mountain bare of vegetation and then blasts off the top of the mountain with explosives. It is the most destructive and polluting form of mining. Environmentalists praised the EPA for not only standing up to industry but also for saving some 2,000 forested mountaintop acres and nearly seven miles of riparian habitat while sparing surrounding communities from the effects of polluted land and water. Meanwhile, environmentalists have been pushing Congress to pass the Clean Water Protection Act, a bill first introduced in 2009 that aims to protect fresh water supplies from mining contamination by sharply curtailing mountaintop removal. Green groups including Kentuckians for the Commonwealth, Appalachian Voices and the Sierra Club are lobbying Congress heavily to consider the bill sooner rather than later. NextCan U.S. Nuclear Plants Handle a Major Natural Disaster?